Israeli soldiers used tear gas and stun grenades against a group of rock-throwing Palestinians trying prevent the dismantlement of a camp in the West Bank territories. The IDF forcibly ejected around 200 Palestinians from the site. ­The violence initially erupted after Palestinian protesters erected a new camp called "Al Manatir" in the village of Burin, some 70 kilometers away from Jerusalem. The camp consisted of four tents and five metal shacks. Up to ten Palestinians have been arrested after the soldiers of Israeli Defense Forces (IDF) entered the village and began firing tear gas and live ammunition into the air. 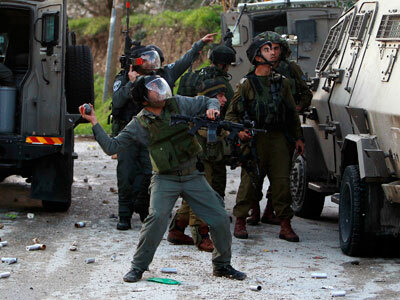 The Israeli army claimed earlier it had arrested five people. An Israeli military spokeswoman said troops only used non-lethal riot dispersal means after Palestinians started throwing stones at them. The spokesperson added that the protest in the village included some 150-200 people and was illegal. Palestinians activists claimed Israeli soldiers slightly wounded a 16-year old, who was taken to the hospital in Nablus, and reportedly a mosque was set alight by a tear gas canister. A 29-day-old baby was also taken to hospital to be treated for tear gas inhalation, said Munir Kadus, who works for the Israeli organization Yesh Din to the Jerusalem Post. 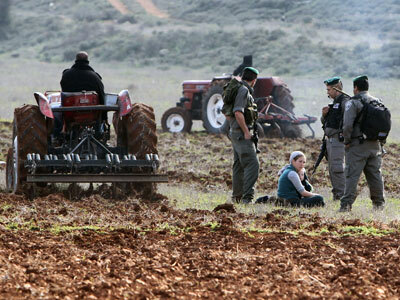 Locals accused the IDF of uprooting 100 olive trees. A large IDF force deployed to the area surrounded the protest camp and closed off the eastern entrance to the village, preventing more activists and supporters from arriving. ­There have also been reports suggesting that confrontation was provoked by nearby Jewish settlers who arrived at the scene with the IDF soldiers. The village of Burin has reportedly come under frequent attack by Israelis who live in settlements scattered throughout the West Bank and around east Jerusalem. 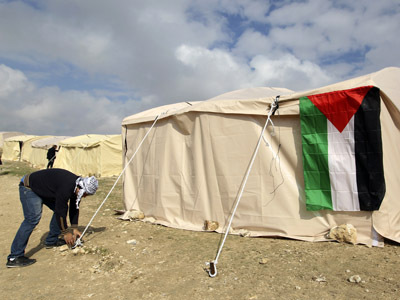 The "Al Manatir" camp was a part of a larger movement started early January when Palestinian activists set up the Bab al Shams (Gate of the Sun) outpost in the area known as the E1 settlement site to protest Israel’s plans to build settlements there. The E1 sector remains a highly disputed area between of the West bank located just outside East Jerusalem. Palestinians demand the area for an independent Palestinian state, while Israelis see it as land for its future settlements. 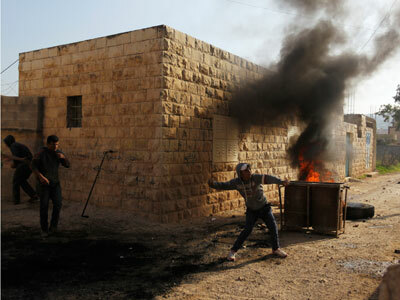 The violence in Burin comes hours after the Civil Administration in the West Bank ordered an evacuation of another Palestinian protest camp set up over the weekend near the village of Beit Iksa, northwest of Jerusalem. The building of Israeli settlements in the occupied West Bank has been fiercely criticized by many international powers which say the move undermines prospects for securing a lasting Israeli-Palestinian peace deal. 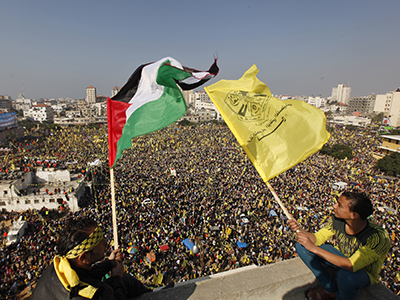 Direct peace talks between Israel and Palestine broke down in 2010. Israel froze building in E1 for many years, after coming under pressure from then US President George W. Bush. However, Netanyahu announced the resumption of settlement building after the Palestinians won de-facto state recognition at the UN General Assembly last year. Those plans involve building around 4,000 housing units in the area. Around 500,000 Israelis and 2.5 million Palestinians live in the West Bank and East Jerusalem.